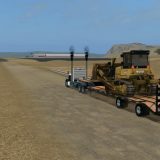 What about upgrading your FS19 with the newest Farming Simulator 2019 Implements & Tools Mods? This is one of the most popular options for players who seek to get the most advantages of the game. If you are interested, you might be one of them! Just take a look at our Farming Simulator 19 Implements & Tools mods list and find the best modifications for your farm. Everyone has a different playing technique, therefore there isn’t one perfect way of how to upgrade it. Although single Implements & Tools Mod Landwirtschafts Simulator 2019 can help to achieve more. If you haven’t tried these additional files yet, it’s about the time – people around the world go crazy about them! Do you wonder why? Of course, mostly because they increase the variety of options and help to take better decisions. 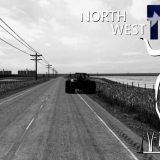 On the other hand, FS 19 Implements & Tools Mods free files make much more adventurous. It’s great being able to have some equipment which is not accessible for others. This provides you with significant advantage against others – what can be better than having some secret weapons? 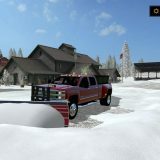 If you agree with that, complete LS 19 Implements & Tools Mods download and start new phase of farming within few moments. Upgrading your game has never been that easy, so you shouldn’t miss this special opportunity. Be smart and play innovative – you will be surprise how much you were missing. Now you are able to dictate your own rules and develop your farm individually. Show everyone who is the best strategist around!